I am cold. This week it was -40, factoring in the windchill, which is the same in both Fahrenheit and Celsius: C.O.L.D. 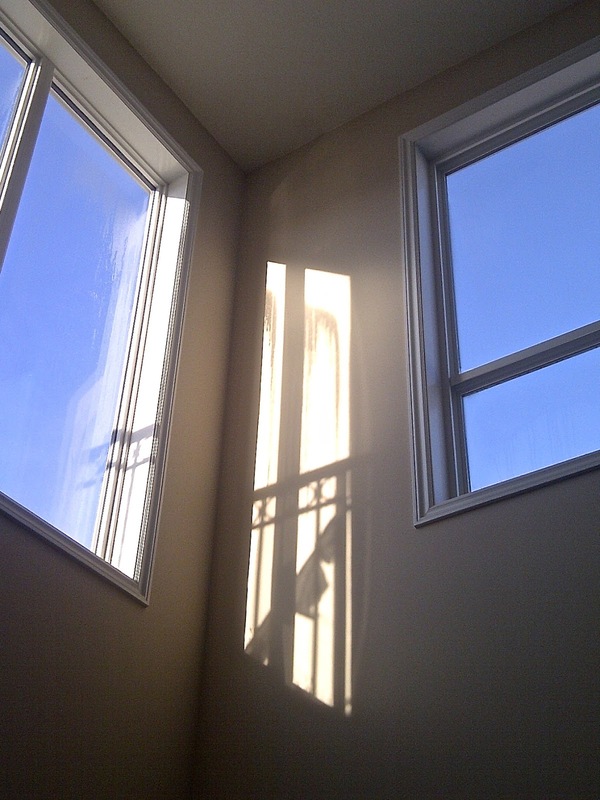 We have 6 large windows the equivalent of sliding glass doors, plus we have one of those too. Needless to say, they let much light in but are not terribly efficient. At least my prayer flag is blowing in said windchill. 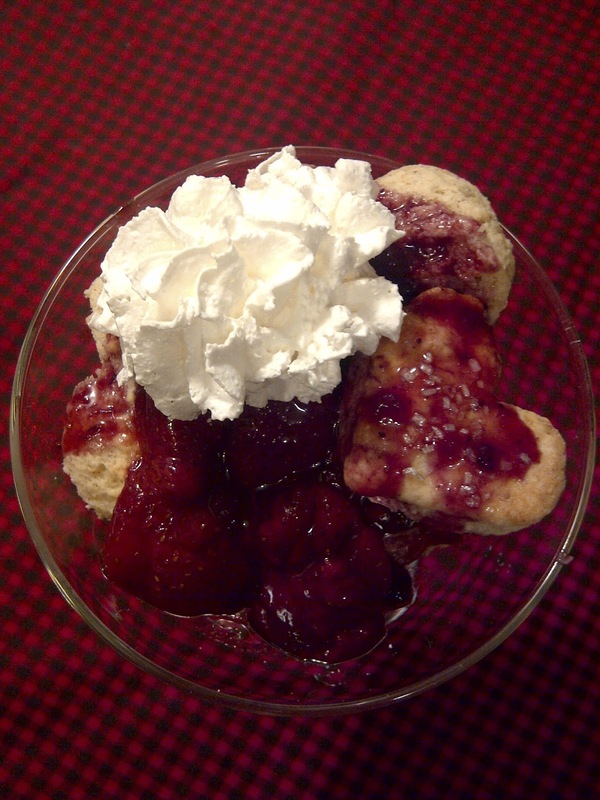 At least there's Winterberry Shortcake. If you are thinking of making this: GO FREEZE SOME BUTTAH, I'll just go put mine on the balcony outside for a minute, that should do it! We want to cut the frozen butter into the flour mixture, which smells amazing. But first, preheat the oven to 400* F. Chef Michael suggests grating the frozen butter then working it into the flour by hand. ...I used my food processor. Next, add the milk & 1 TBS of whisked egg. 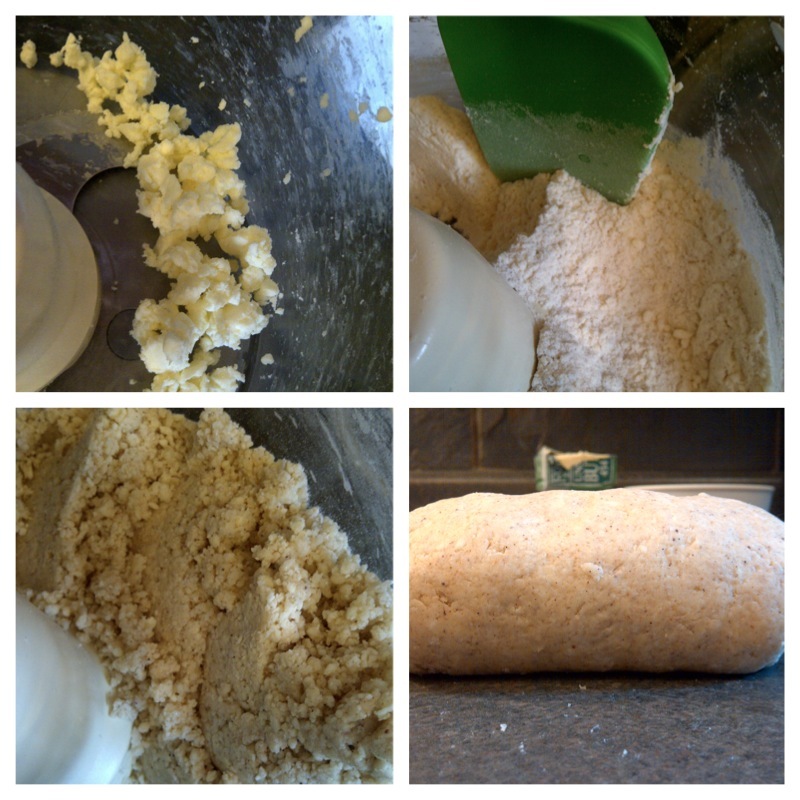 Pulse or stir until it just comes together & turn the dough onto a floured surface. Honing in on my OCD, we are going to roll from the center out, then give the dough the a 1/4 turn & repeat, repeat, repeat (just like we did for the tortillas). We're going for a Grands Biscuit effect: keep rolling the dough until 1/4" thick, then fold it in half, and then half again. You should have a long rectangle-ish piece about 1" thick. Cut with floured cookies cutters, or a juice glass. 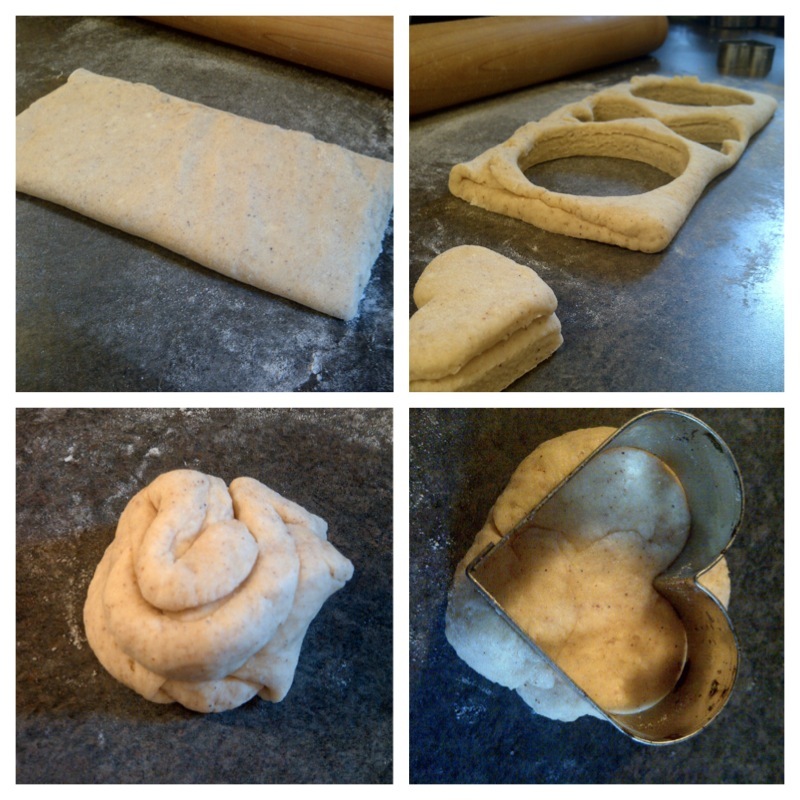 Fold the remaining dough together and press until it's 1" thick; keep doing this until you run out of dough. 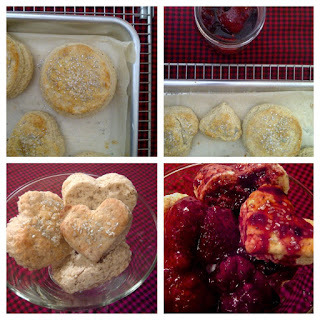 Place shortcakes on a parchment lined cookie sheet. Brush with remaining whisked egg (mine were in the oven for 5 mins. before I remembered this. Whoopsie!) & sprinkle with coarse sugar. 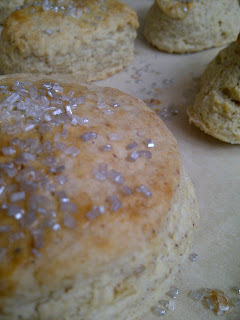 I used silvery sugar sprinkles. Bake for 10-12 minutes, or until just golden brown on top and bottom. Thaw the berries (I nuked mine on defrost until the juices started running). 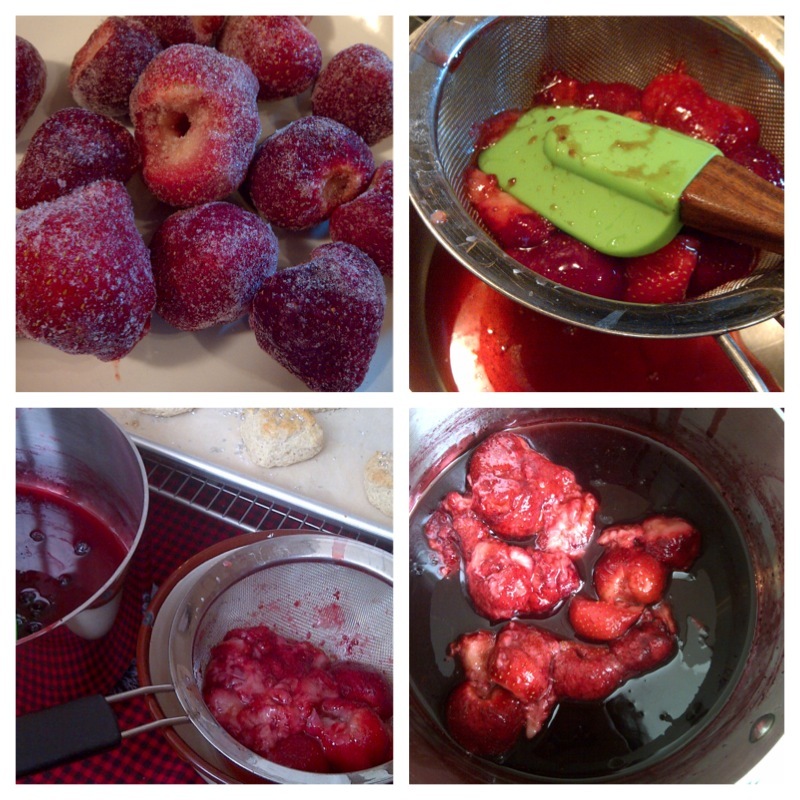 Gently press and strain the berries' juice into a small sauce pan, set berries aside. Add jam of choice to the saucepan (I used wild blueberry) & bring to a simmer over medium heat. Once nice and bubbly, turn down to low, stir, stir, stir and cook another 5 minutes until a jam-like consistency. Remove the pan from the heat and stir in the thawed berries. Chill until ready to use. 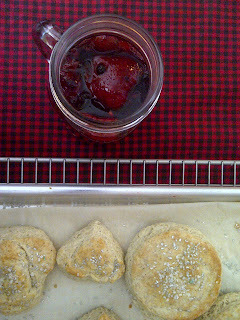 Split the biscuits in half, they should just pull apart, and top with the berry syrup. Yeah. I used canned whipped cream. I wasn't buying whipping cream; I only needed 1/4 cup since I hacked down the recipe. If you feel like whipping your own cream, by all means, go for it. Preheat oven to 400*F. Mix flour, sugar, salt and nutmeg in a bowl. Grate frozen butter into flour mixture, stir and mix with hands until combined....or use food processor. Add milk and 1 TBS of whisked egg, pulse or stir until everything just starts to come together. 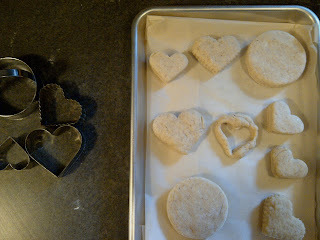 Turn onto a floured surface, roll out to 1" thick, cut biscuits, and arrange on a parchment lined pan. Brush with remaining egg and top with coarse sugar. Bake 10-12 minutes, or until golden brown on top and bottom. Set aside to cool. Strain thawed berries; add their juice into a small saucepan. 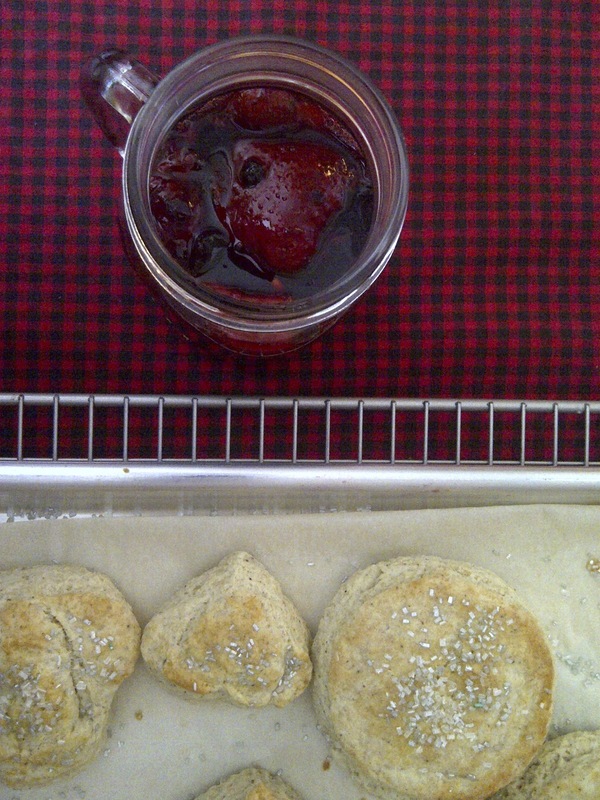 Set berries aside, add jam to saucepan. Cook juice & jam over medium heat until simmering, turn to low, stirring constantly for another 5 minutes until jam-like consistency. Remove from heat, add hawed berries. Chill until ready to use. Top nutmeg biscuits with cooled strawberries & syrup and whipped cream.